Sen. Michelle Ugenti-Rita’s bill to ban voters from dropping off their early ballots in person would affect her legislative district more than almost any other in the state. Ugenti-Rita, R-Scottsdale, represents Legislative District 23, which primary encompasses Scottsdale. In the November election, 12,093 voters in her district dropped off their early ballots at polling places on Election Day. Nearly half of those voters, 5,706, were registered Republicans, compared to 2,738 who were Democrats and 3,649 who were independents or registered under third parties. Only four legislative districts saw more voters bring early ballots to polling places on Election Day than in LD23. Three of those districts – Districts 12, 15 and 25, based in the East Valley, north Phoenix and Mesa, respectively – are Republican strongholds, while the fourth, District 18, based in Ahwatukee and Chandler, has shifted from Republican to Democratic control over the past several elections. District 12, which is home to Senate Judiciary Committee Chairman Eddie Farnsworth, R-Gilbert, who also voted for the ban, saw the largest number of voters dropping off early ballots on Election Day of any district in the state, with 17,318. More than half of those voters, 9,299, were registered Republicans. The total in District 12 was several thousand higher than the second-highest total, which was 13,622 in District 18. 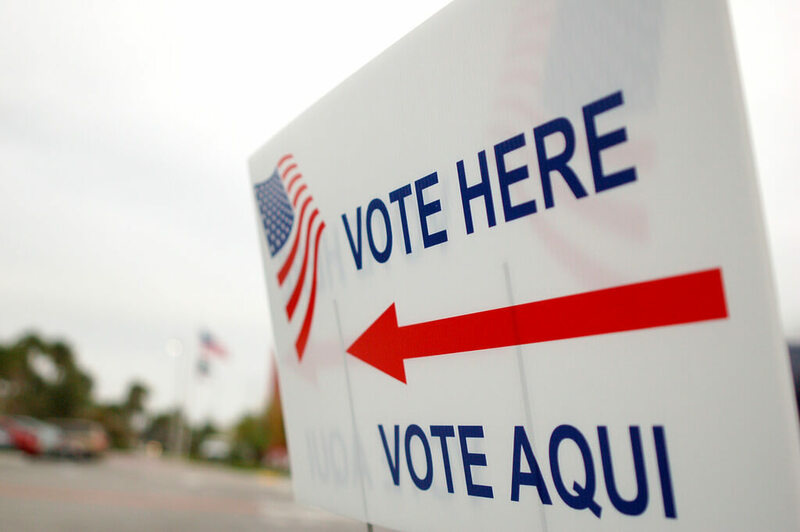 Senate Bill 1046, which the Senate Judiciary Committee approved on Jan. 24, would prohibit voters from dropping off their early ballots at polling places, a practice used by 228,000 voters in November, according to the Secretary of State’s Office. Ugenti-Rita said she introduced the bill after hearing complaints from constituents. She argued that the bill will cut down on the amount of time that it takes to count ballots after Election Day, which several election officials have disputed. She has also said that the intent of Arizona’s early voting system was to vote by mail, and that banning voters dropping off early ballots in person will reinforce that. If the do this — which is directly related to Dems historically voting late — they should allow any ballot postmarked by Election Day to count, similar to what California does. My suggestion in a voter registration class I attended would restrict voters to only dropping off ballots at their own polling place. Just more Gerrymandering by the F-ING REPUBLICAN TRAITORS. EVERY VOTE COUNTS !!!! Whether in Early or the DAY OF OUR ELECTION !!!!!! LEAVE THIS ALONE!! !